Take your business beyond borders. 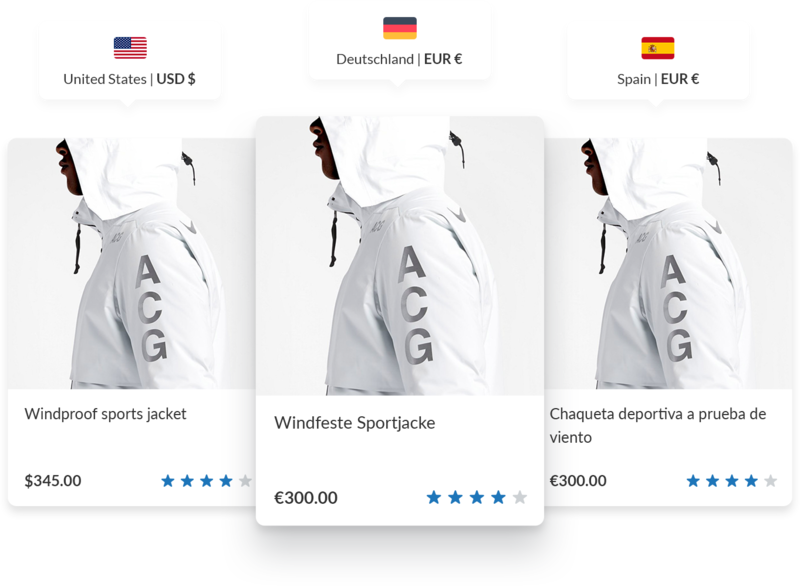 Translate, localise and launch your online web store in over 60 countries, and help grow your international sales, with PayPal Global Sellers in partnership with Webinterpret. 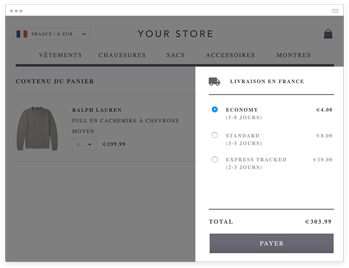 We automatically translate your product titles, attributes and convert your prices based on current exchange rates. You can also set specific pricing on a country level. We provide a more secure, fully localised and hosted international checkout process that allows you to accept payment in 25 currencies. Mail yourself or simply send your packages to our UK shipping hub and we will handle the logistics and delivery. We help customers find you. 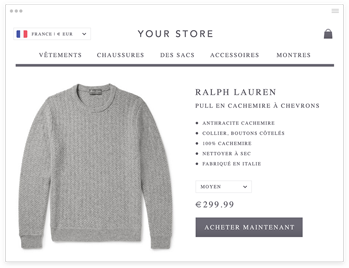 We know where online buyers are browsing from, so if your store is available in their country we will automatically inform them with a message in their language. By translating and localising your content, we help international search engines better index your page. This is designed to boost online traffic, supplements marketing efforts and lets you leverage Google Shopping internationally. 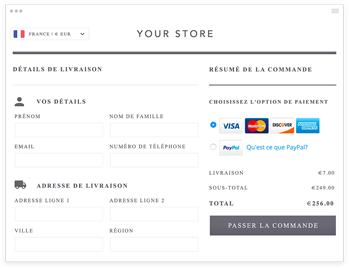 It takes about 15 minutes to download, install and configure our plugin on your store. Upon installation, automatically offer your products in multiple languages and currencies. Sign up for a free demo. †Based on business's internal data. Results may vary. It’s free! This comprehensive international solution is offered as part of the PayPal Global Sellers program. Payments are processed using PayPal and their standard fees apply. Do you comply with VAT regulations? All localised stores will comply with VAT exemptions and regulations. Why do I need the plugin? The plugin gives us access to your product catalogue, stock levels and prices so that we can translate, localise and synchronise your products. • 96 hours / 4 days - Your international stores will be launched. Once they are live, we will then call to guide you through your international store settings. This service is offered by Webinterpret. PayPal makes no representation or warranty as to Webinterpret’s services and is not liable for Webinterpret’s websites, services, or offers. Our information does not constitute legal, financial or business advice. Always do your own research and seek professional advice if needed. Help increase your international online sales in more than 60 countries.